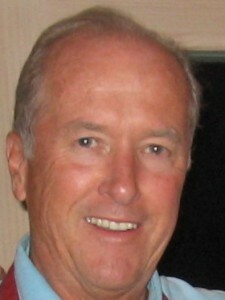 Bob Powell has more than 30 years experience in the development and finance of real estate. Prior to founding the firm in 1996 he served as President and CEO of DKM Properties Corp., one of the largest real estate development organizations in New Jersey, with a portfolio of approximately 6 million square feet. While at DKM, Mr. Powell directed the development, financing, and leasing of office parks, retail shopping centers, and master-planned industrial parks throughout the Northeast. Mr. Powell was instrumental in raising approximately $500 million in debt and equity capital for the firm’s real estate portfolio. Mr. Powell continues to be actively involved as an investor and developer of real estate projects in the New York-New Jersey markets. Prior to joining DKM in 1984, Mr. Powell served as the Executive Director of the New Jersey Economic Development Authority, the public real estate investment bank for the State of New Jersey. Under his leadership, the EDA completed several billion dollars in incentive financing for business and industry throughout the state. Mr. Powell has an undergraduate degree from the University of North Carolina at Chapel Hill, and a Ph.D. degree in economics and public policy from The Woodrow Wilson School, Princeton University. Mr. Doherty brings a special expertise in the analysis and procurement of financing for affordable and mixed-income housing projects. Mr. Doherty also specializes in developing complex, customized financial models used to evaluate proposed or existing real estate development projects, including market rate developments. His financial models and proformas are client-friendly and include “sensitivity” and “what if” capabilities that enable a client to rapidly and accurately evaluate the impact of project assumptions on financial results, thereby improving the decision-making process. Mr. Doherty’s relevant experience includes participation as senior team leader in a program to structure the financing for 8,600 units of military housing leased to armed forces families under the Military Housing Privatization Program. 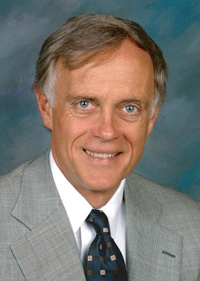 He provided development and financial consulting services to the Housing Authority of Monterey County (CA) for six projects totaling 700 units of mixed income housing, utilizing federal low-income housing tax credits, tax-exempt bonds and a variety of other funding sources, which totaled approximately $150 million. He is currently a key member of our team preparing financial models for the Hoboken (NJ) Housing Authority and the Asbury Park (NJ) Housing Authority in connection with our project management assignment with those agencies. He has provided expert witness and litigation support services to a variety of clients, including the Port Authority of New York and New Jersey and New Jersey Transit Corp.
Mr. Doherty has a Master’s Degree in Economics from the University of Connecticut and a Bachelor’s Degree in Economics from the University of Delaware. Mr. Mount has more than 15 years of experience in the management, financing and construction of public and private real estate development projects. As a Senior Associate at Nassau Capital Advisors, LLC, Ian provides advisory services to clients focused on site assemblage, transaction structure, design, approvals and construction. Prior to joining Nassau Capital Advisors, Ian served as Director of Development for Nassau HKT Urban Renewal Associates, LLC where he managed all aspects of the design, construction and financing of the Downtown Princeton Redevelopment Project in Princeton, NJ undertaken in partnership with the Borough of Princeton. As a principal of Charter Educational Development, LLC, Ian spearheaded the development and ground up construction of a state of the art charter high school in Newark, New Jersey, where he led a multi-disciplinary professional team in the creation and deployment of an innovative financing program that allowed for the economic viability of the project. Ian also served as a construction project manager and subsequently as Director of Development for Hollister Construction Services, a full service real estate and construction company located in Parsippany, New Jersey. His previous experience includes financial analysis, advisory and owner’s representation services for a broad range of real estate clients and projects. Mr. Mount has an undergraduate degree from Vanderbilt University and an MBA degree in Finance from American University in Washington, DC. Copyright © by Nassau Capital Advisors, LLC. All Rights Reserved.